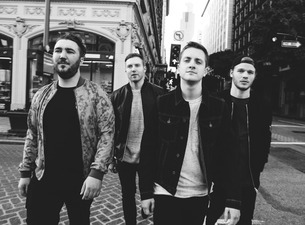 Whether you have jammed their cover of“Blank Space” and pretended like you did not already know the words or you actually became a die-hard fan and got into their e.p Heart vs.Mind, I Prevail has reached overnight success status and they are not slowing down one bit. Their new album Lifelines is a leap in the right direction for these dudes. Not only is this album relatable, it is instrumentally solid and impossible not to jam to. Plus most of the songs are catchy as all hell, making it another one of my favorites of 2016. Lifelines opens with the 2 released singles from the album, “Scars” and “Stuck In Your Head”. As soon as these songs started to get satellite radio play I was really into them. Touching back to the fact that someone can relate to at least one of the songs on the album, “Scars” is like my damn anthem. It is just a really positive song and I just love it. “Stuck In Your Head” is another song that is another anthem song that reaches listeners emotions. “Alone” is one of the slower songs on the album and to be completely honest I was a little taken back by it at first because it was a little unexpected but it is absolutely beautiful, the vocals from Brian Burkheiser are goose bump worthy. The song is also again, extremely emotional and you can feel his sincerity through the song. It is a nice break in the album and shows that they can slow it down just as well as they do everything else. “Already Dead” is hands down my favorite song on Lifelines. It starts off in your face and stays there. The lyrics are definitely powerful and the chorus is probably one of the greatest verses I have heard in a long time. The breakdown at the end of the song is also pretty damn glorious. “Worst Part of Me” is the ending track on the album closing it out on a high note. It touches on something that I think everyone has experienced at least once in their life. I really enjoyed the musical aspect of this song and the harsh vocals more than anything. I adore this song and it was definitely the perfect end to Lifelines. 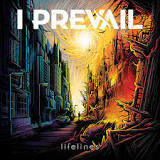 I could go on and on saying how great every song on Lifelines is and how the guys in I Prevail did a fantastic job making one of the most emotionally relatable albums (for me at least) that I have heard in awhile. From a fan standpoint, this album is going to be exactly what you want to hear. It has everything that made you fall in love with I Prevail and then some. Even if you are not a fan of I Prevail I’m sure there is a song on Lifelines you will be able to relate to and end up loving it. Overall this album is a game changer for the band. For their first studio album, they put out something that is gold and can put them right to the top.